Eden Silva shines in Helsinki to take title! Eden Silva defeated Tess Sugnaux 6-3 1-6 7-5 to clinch the ITF $15k Helsinki title. The victory sees the Brit clinch her biggest singles title of her career as she continues her fine end-of-season form. Saturday’s final was Silva’s second 15k final in the last month, after losing to Samantha Murray in the Wirral in October. Silva, who also reached the quarter finals in the $25k event in Shrewsbury last week, claimed the title after an impressive show of grit and determination against a Swiss opponent almost 100 places higher in the rankings. The victory means Silva will go into 2018 with a career high ranking to build on, after a year that has seen the Essex-based star break inside the top 600 and continue to climb on an upwards trajectory. With form like this, Eden is showing she has the potential to break more career boundaries and will surely be looking to get inside the top 300 next season. Silva will finish her year competing in Czech republic after which will begin her pre season. Bring on 2018! Hello everyone, I came out of the British grass season with a new career high inside the world’s top 600. Having received a wild card into the qualifying event of Nottingham (WTA 250k) I defeated Deniz Khazaniuk from Israel who was ranked 200+ in the world. I also won the British Wimbledon wildcard playoffs held at Aeorangi park to secure my place in the qualifying event of Wimbledon 2017. This was a great experience and gave me the opportunity to improve my on court game, the prize money will no doubt help me towards my tournament schedule for the remainder of 2017. At the recent 25k ITF event in Woking, I came through two rounds of qualifying to make the main draw. In the main draw I faced the number 2 seed Mihaela Buzarnescu from Romania ranked 142, showing that even at the lower level tournaments the high level of competition exists. The match was tough for me as I was still not 100% but I enjoyed myself. Moving forward for 2017 I will compete on the ITF circuit across the world from Europe, USA and Asia in order to achieve my goals and my biggest challenge is staying healthy and fit. I will prepare for competition training hard making sure my focus is on the quality of my sessions. Finally, I am extremely lucky to have who I consider the best team and my family around me - Russell, Warren, Dan, Mariana, Errol and Roger (my dad) not forgetting my mum and brother. They are a big part of my life and what I need to get me to the next level and inside the top 100. Onwards and upwards and stay fierce. The British Ethnic Diversity Sports Awards (BEDSA) was a really good night where I got to have a fun evening with my team and friends from other sports as we celebrated diversity in sport. Throughout the night I got to hear many inspiring stories from talented athletes all over the UK. It was nice to see everyone let their hair down and really dressed up as we are always super busy and usually sweaty, ha! As a future champion ambassador for Sporting Equals, I’m proud to be part of an effort to encourage young ethnic kids to participate in sport and enjoy it. I really hope we build from the awards and really make a big impact as I think a lot of sports are struggling these days with the lack of kids getting involved. I will always try to be a strong role model and ambassador for the younger generation and try to lead by example. Fantastic evening and I cannot wait to attend these awards in the future! Thank you to everyone who worked hard at BEDSA to make it a fabulous evening. A professional athlete’s greatest satisfaction is to be out competing on the field of their choice. Sometimes for no fault of their own this is taken from them and they have to find something deep down inside to keep going. 2015 has been the toughest year of my life but also one of the best. I found myself and I found my team. I learnt what it is like to not be able to do what I love and that was enough to give me the drive and determination to change the situation. Looking back to 6-7 months ago when it took me 20 minutes to walk up the stairs to get to the loo (haha) or only being able to hit a tennis ball sitting in my garden chair, I really am proud of how far I’ve come. I now move freely around the court again with the confidence that I am physically, emotionally and mentally stronger than I ever was. Setbacks happen to us all but are made easier by having people who care about you by your side. I have had unconditional support and love from my family who do not think twice when it comes to doing what is best for me. They got me through this year. They say things happen for a reason and that sometimes bad things are a blessing in disguise. With the team I’ve now got, I know that to be 100% true. From my Coach, to my agent, medical therapists, physio, S & C coaches, advisors and family - they all have kept me positive and believed that I would come back stronger and a better athlete. I feel that I have missed so much and yet I feel I have gained far more than I ever dreamed of. There is nothing that can make me happier than to get back on court and start competing again. I am in preparation for the new year and so looking forward to competing again in 2016. I wish everyone a Merry Christmas with their families and a Happy New Year to you all! Think positively and positive things will happen. 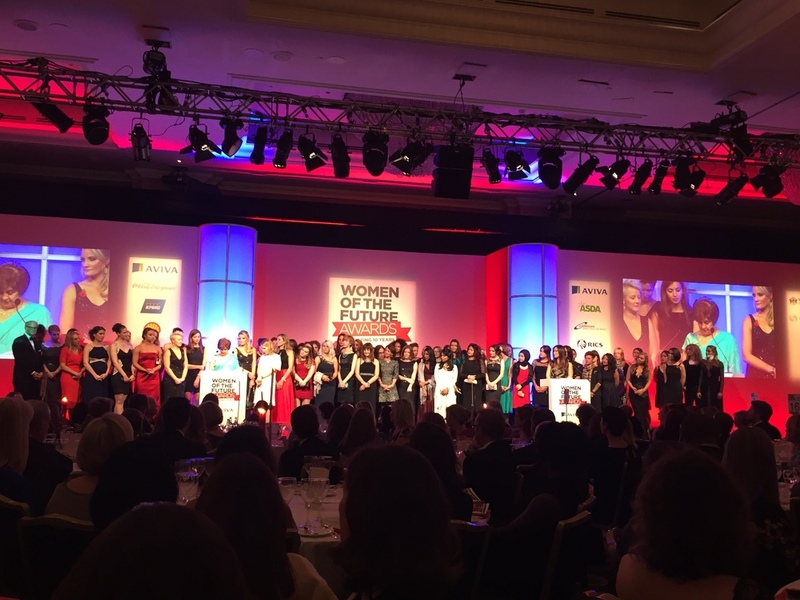 Extremely honoured to be shortlisted for the 2015 Women of the Future Awards for the category of Sport. All women recognised this year and the nine previous years are all phenomenal and inspirational, and I feel very privileged to be part of such an amazing group of empowering women. These awards are designed to not just celebrate the career accomplishments of each woman but to recognise them as leaders of tomorrow. While this is the first year for the category of Sport, a woman who has always been a Woman of the Future to me is my mentor, former trainer, and friend Elena Baltacha, former British No. 1 female tennis player. While she sadly passed on May 4, 2014 due to liver cancer, her lessons on and off the court have been a constant motivator to me and through her actions she has and continues to be a leader to many young tennis players. Confidence comes from not always being right but not fearing to be wrong. Confidence is knowing the difference between self-belief, positivity and being arrogant. With arrogance there is no room for improvement as arrogant people think there is no need for improvement. Whereas confidence never comes from having all the answers, it comes from being open to all the questions. You can’t fake confidence. True and real confidence comes from pure self-belief. The only way to get people to believe in you is when YOU believe in you. Self-Confidence is the memory of success, so linger on the positives and achievements you have accomplished in life so far and build on future success. While on this journey, the path is incredibly slippery but when you have absolute confidence in yourself you know no matter how many times you make a stumble or completely fall over, that you have the inner strength to pick yourself up and keep your eyes on the Prize!